First Day of My Life: Friday Letter to YOU! Dear Cruise lines: you have so many within my budget...thank you! Dear my Workout Motivation: where did you go? Please come back to me. I miss you. Dear Forks Over Knives (documentary): you have me re-thinking my diet. Dear Local Bakery: you have some delicious orange, almond muffin top. YUM. Dear Pretty Flowers: you brighten home up. Dear V's Soccer Team: watching you all is so fun! Minus bugs, I enjoy it! Dear Beach Ice Cream Shops: goodness gracious. With this warm weather, you must be making a killing! You have people out the door! Dear Those Celebrating Easter: remember the reason for the season! Jesus died + ressurected. We are forgiven of our sins thanks to Him! Be thankful! Dear Bloggers & Tweeters: if someone comments to you or tweets to you - it's only polite to at least respond. I try to follow that practice. He has risen!!! Great posting! What a cute cute post idea! Love the letter, I might do that one day! Wishing you a blessed Good Friday! Today's desperation and sadness makes Sunday's victory THAT MUCH SWEETER! What a cute idea! Thats for the note! And yes, we all need to remember the reason for the season! Jesus came, died and has risen! I am truly thankful!! I agree so much that bloggers should respond if they can. (Don't get me started about people that don't have their emails linked! It makes me so sad when I can't continue the conversation with them.) Your blog is lovely. New follower! what if we end up on the same cruise???? ahhh! Your writing is really neat and pretty. Also, I love your signature! Another awesome post, Cami! I loved reading your hand-written note! The ice cream shops sound lovely...the warmer weather has me craving it more! I hope that you V and your family have a wonderful weekend and a very blessed and happy Easter! Thank you for always leaving sweet thoughtful and insightful words on my blog! 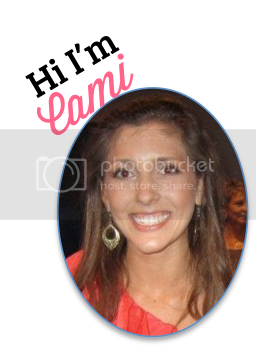 Cami! Love your letter to us all. I love that you hand wrote if for us to read. How awesome! Happy Easter to you and yours. That's great news about the cruise lines! I second that on Easter! I agree about responding. This happens far too often. I have some people that I comment on their blogs and they never comment on mine or respond to my comments. It can be discouraging, especially if you are a smaller blog chatting with a bigger one. Also if I ever do that to you on Twitter, I apologize. I never get on there...lol.